The portable calibrators of the CTx9100 family are particularly suited to local calibration tasks and extremely user-friendly. Due to their compact design and their low weight, the instruments can be taken and used almost anywhere. 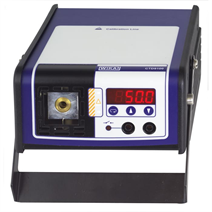 The dry block calibrator model CTD9100-375 is particular is characterised by its robust case design and compact dimensions. The new instrument concept brings together a stable heat source with precision Pt100 temperature measurement. This enables industrial temperature probes to be calibrated even more efficiently. Regular monitoring of temperature probes helps to recognise failures promptly and shorten downtimes. 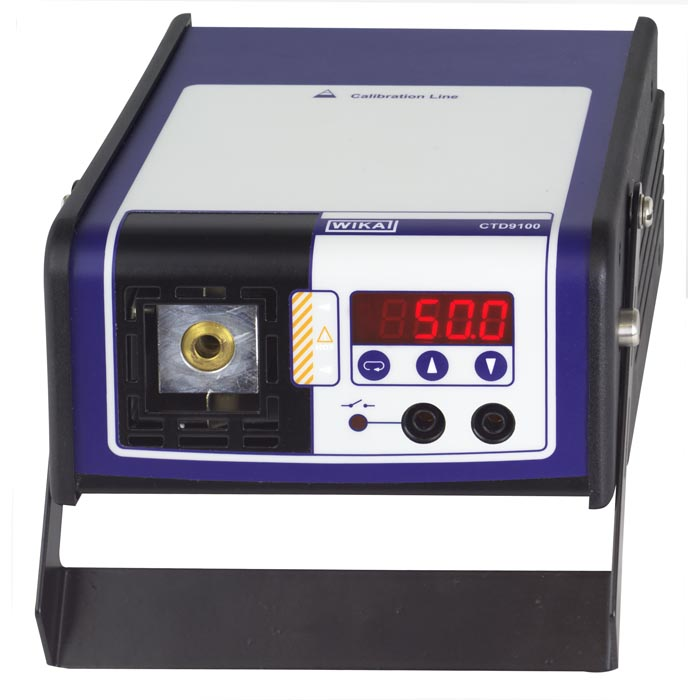 The CTD9100 series of dry block calibrators work with temperature-controlled metal blocks and interchangeable inserts. The calibration temperature, adjusted simply using two keys on the controller, can be very quickly controlled. The set temperature of the heated block is displayed on a large, 4-digit, high-contrast LED display. Thus reading errors are virtually eliminated. Thermometers with different diameters can be fitted into the dry block calibrator using inserts, drilled to suit. A new block design, with improved temperature homogeneity at the calibrator‘s lower range, leads to smaller measurement uncertainties.